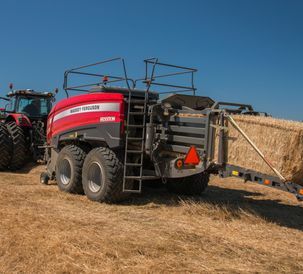 The Hesston by Massey Ferguson® 2370 Ultra High Density (Ultra HD) baler is designed to easily and efficiently bale light-weight, dry, slick grass and hard-to-bale crop residue. It is the industry’s first and only Class 8 square baler and produces 3’ X 4’ bales with 20 percent greater density than Hesston’s Model 2270XD baler. DULUTH, Ga. — AGCO Corporation (NYSE:AGCO), a worldwide distributor and manufacturer of agricultural equipment, is debuting the Hesston by Massey Ferguson® 2370 Ultra High Density (Ultra HD) baler to North American producers at the 2018 World Ag Expo in Tulare, Calif., Feb. 13-15. The industry’s first and only Class 8 baler, the 2370 Ultra HD is designed to produce heavy, dense bales from light-weight, dry, slick grass and hard-to-bale crop residue. 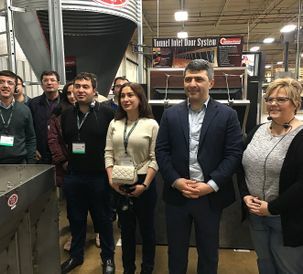 It is an especially good choice for large commercial hay growers, operations that export hay and biomass material and businesses harvesting biomass for the North American biofuels and livestock feed industries. 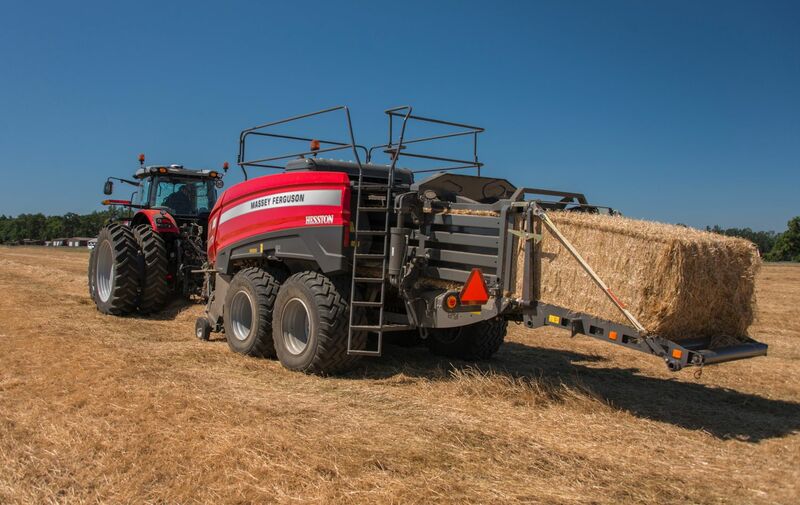 Hesston by Massey Ferguson® 2370 Ultra High Density (Ultra HD) baler, will make its North American debut at the 2018 World Ag Expo. Producers can see it at Lot #46Q along the North Greenbelt between Q and R Streets. The 2370 Ultra HD baler is designed to help operators easily and efficiently bale light-weight dry, slick grass and hard-to-bale crop residue. It offers the throughput and reliability large commercial hay growers and businesses harvesting biomass require when harvest windows are small and tons-harvested-per-day is driving an operation’s profitability. The new baler is the industry’s first and only Class 8 square baler and produces 3’ X 4’ bales with 20 percent greater density than Hesston’s Model 2270XD baler. The Model 2370 Ultra HD has a straightforward design to reduce maintenance and service downtime and is built with the durability and reliability to run under high loads, covering thousands of acres, bale after bale. 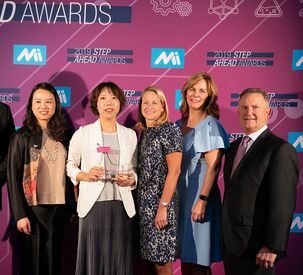 It was chosen as a 2018 AE50 Award winner by the American Society of Agricultural and Biological Engineers (ASABE). Small and large square balers are ranked in Class 1 through Class 8 using rated plunger load, the most measurable factor impacting a bale’s density. Class 8 is for balers with 750-plus kilonewtons (kN) plunger force, the highest classification. The Model 2370 Ultra HD makes 3’ by 4’ bales with 20 percent greater density than Hesston’s industry-leading Model 2270XD baler. The Ultra HD is the latest advancement in hay harvesting from Hesston, which introduced the industry’s first large square baler in 1978. 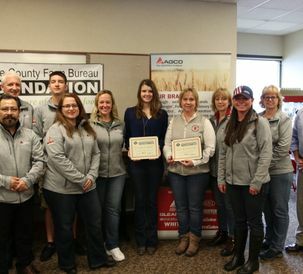 In creating the 2370 Ultra HD baler, AGCO began with a faster, 15 percent heavier, more powerful plunger that operates at 50 strokes per minute. It packs a maximum-load capacity punch of 760 kN – 63 percent greater than the 2270XD baler and built with the durability to run at maximum load capacity regardless of crop and field conditions. New Bale Create user interface that is intuitive to use and arms the operator with all relevant baler performance information, for quicker, easier in-field decisions and adjustments to optimize bale quality and bales harvested per hour. Heavy-duty main chassis frame, designed to handle heavier loads commonly seen when producing ultra-high-density bales. All new OptiFlow™ pickup assembly system reliably feeds crop into the baler at higher ground speeds. The OptiFlow pickup has five tine bars and 80 double tines on the pickup assembly, 25 percent more tine bars than previous Hesston balers. A large diameter roller, new curved-design wind guard and powered top auger ensure optimal crop flow. A 28-inch longer bale chamber for greater density control, equipped with dual-acting, 7-inch-diameter, hydraulic density cylinders to create maximum bale density and a more exacting, consistent bale shape. A simple design with fewer cylinders, hoses, couplers and hardware compared to competitive balers, to help reduce maintenance and service. A driveline that includes three clutches in the main drives to protect against damage and downtime. The flywheel now has an auto-reset clutch, making it faster and easier to get back to baling after an overload, compared to the downtime of replacing a shear bolt in a traditional flywheel clutch. Two gearboxes put the power behind the Ultra HD balers without adding excessive weight or size. A new, heavy-duty midline gearbox increases the flywheel energy by allowing the input speed going into the flywheel and gearbox to “step up” from 1,000 rpm to 1,500 rpm. Next, the heavy-duty Ultra™ gearbox, with maximum rated load of 760 kN, drives the plunger. Its split-torque design transfers extreme loads using maximum load output. With nearly 40 years of experience designing large square balers, Hesston engineers understand the factors that cause downtime. In the 2370 Ultra HD, plunger needle slots include brushes to remove debris from needles prior to entering knotters. By keeping trash out, the knotters work better and tie more consistently with fewer missed knots and downtime. The six heavy-duty, double-tie knotters use twine with up to 800-knot-strength twine needed for high-density bales. Two rows of EasyFill™ twine boxes hold 36 balls of twine for fewer refills, and the swing-out boxes provide easy access to baler components behind the boxes. New exterior shielding makes it easier to access service points such as the convenient ground-level hydraulic fluid reservoir, hydraulic block and fuse block. The new shielding and a unique paint scheme give the baler a sleek look. Hydraulic brakes and a roller chute with scales come standard on the 2370 Ultra HD. Other features include a lifetime-sealed packer crank and stuffer bearings for less service time and increased baler life, and a replaceable knotter drive cam lobe. The Model 2370 Ultra HD large square baler will be available in 2018 from Hesston by Massey Ferguson and Challenger® dealers. To find a dealer near you, visit MasseyFerguson.us or Challenger-ag.com. ©2018, AGCO Corporation. Hesston by Massey Ferguson is a registered trademark of AGCO. Challenger is a registered trademark of Caterpillar Inc., used under license by AGCO. OptiFlow and EasyFill are trademarks of AGCO.